NEW FEATURE! - Zoom lenses added with full range of zoom through the focal lengths. 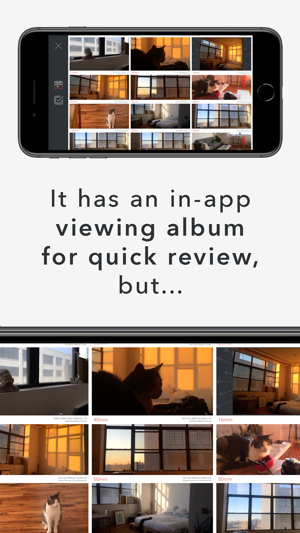 -- Bug fixed that caused certain lens sets to crash the app. - Zoom Lenses added, see website for complete list. - More cameras added, see website for complete list. - More Prime lenses added, see website for complete list. First of all, the App just works. That’s already better than most. 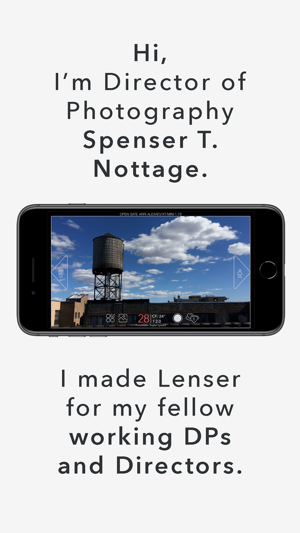 Next, by integrating specific cameras, formats, and lenses, that means that I can make a really accurate judgement on what’s needed when I’m on the scout. One every photo taken, all the metadata is printed on the edges so that there’s no guessing after the fact and you spend much less time taking notes. 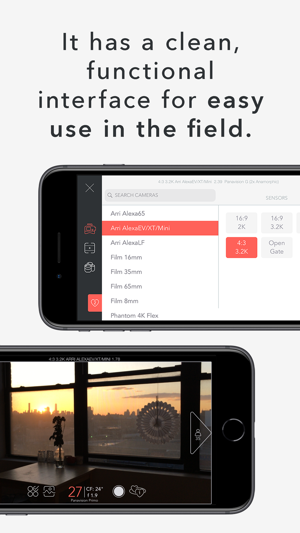 So far, this is the best app out there for an iPhone director’s finder. Love the design and UI. Desperately needs a custom lens set creator, as I had to hunt around the presets to find one that matched my set of Canon primes. 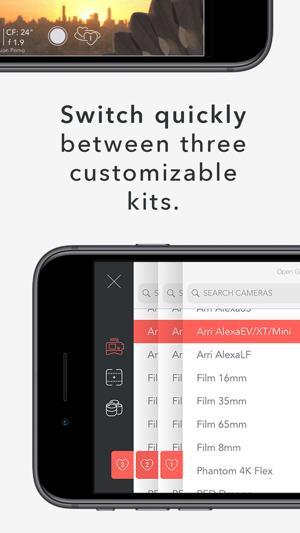 I understand the app is geared toward high end professionals, but I’m sure I’m not the only one using it who can’t afford to rent Ultra Primes. Also would love to see the Blackmagic Ursa Mini as a camera option. 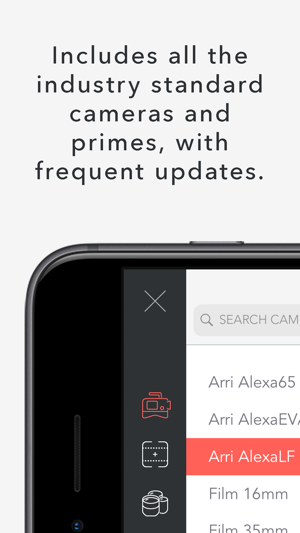 If you are using the Canon CN-E Primes, they will be in the next update, along with many new lens sets and zooms! The Blackmagic Ursa Mini is also in the list of new cameras coming. 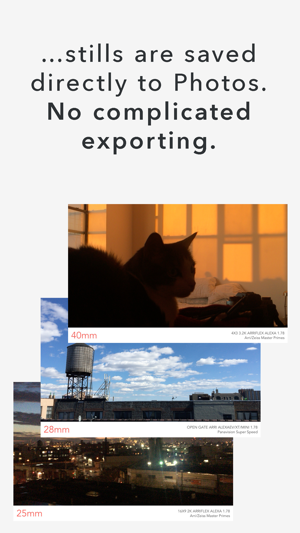 If you have any other cameras or lenses you'd like to see included, send me an email at spenser@mindvice.space and I will try to include them in the next update! Thanks! 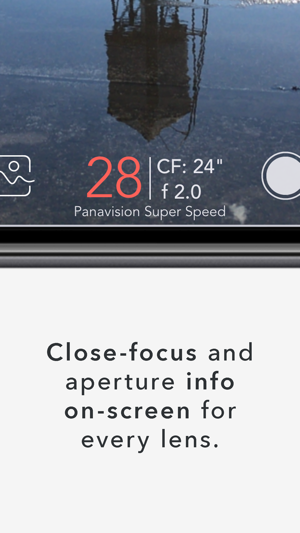 I’ve been using this app for previewing focal lengths for the past month or so, and I’m super impressed. 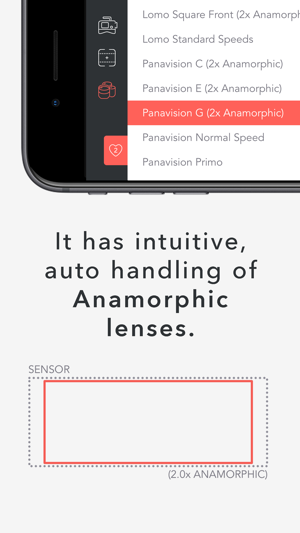 It’s developers have done there research of various lens types and coverage of almost every professional format out there. It’s obviously a tool created by someone who means to use it their self. 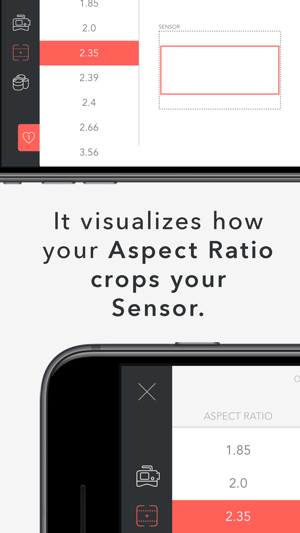 And it shows with how quickly and easily you can get a reference up, save your selection of lenses and snap photos at those focal lengths. I’ve been showing it to others who have been equally impressed.